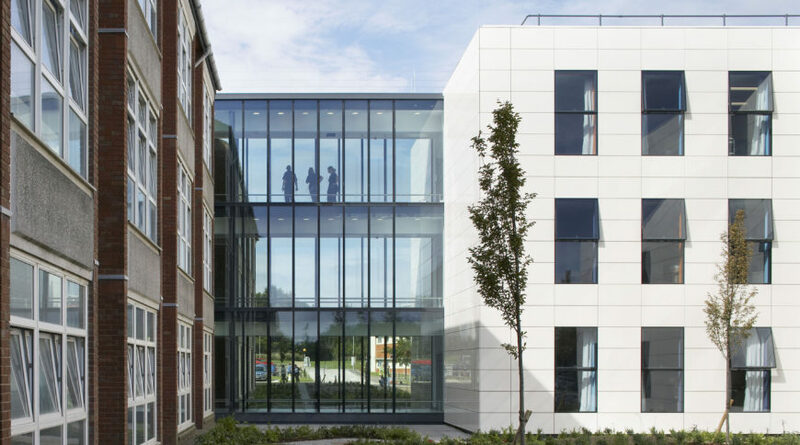 A new hospital building which provides state-of-the-art patient facilities and a high quality healing environment features structural glazing from Technal to create a flush façade and flood the wards with natural light. 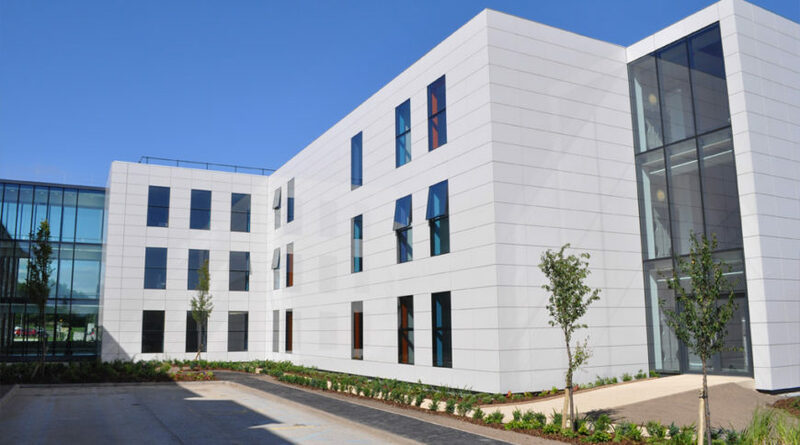 Key elements of the design brief for the Chesterfield Hospital building, which contains three 32-bed wards, were patient care and dignity, infection control and a holistic environment. The result is a facility more comparable to a hotel than a typical hospital. 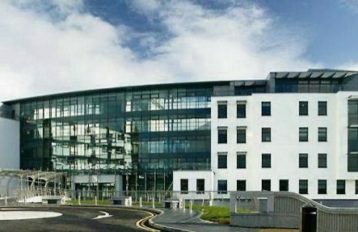 The building is also now being used by an independent research body to test anecdotal evidence that a well-designed hospital environment reduces recovery times and contributes to better outcomes for patients. 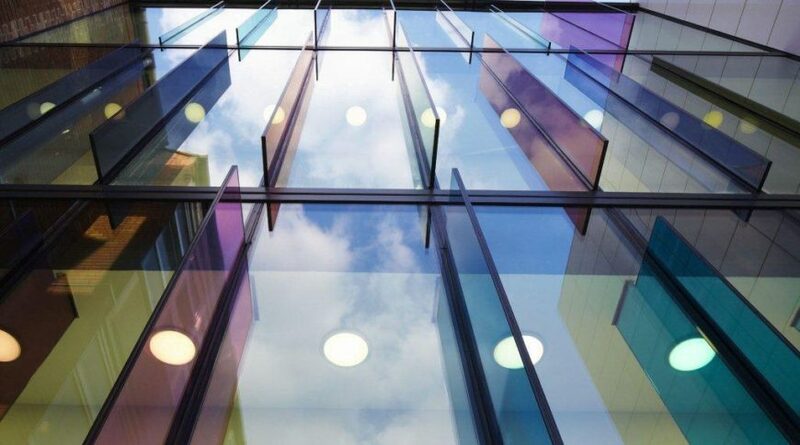 Curtain Walling, Windows, Doors, Structural Glazing, Coloured Interlayers. 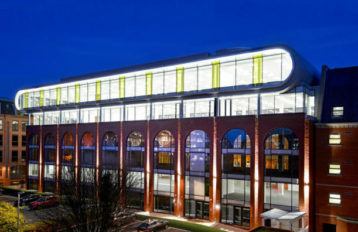 The curtain walling was finished in anthracite grey, glazed with low E high performance solar control glass and contrasts with the ceramic granite cladding. 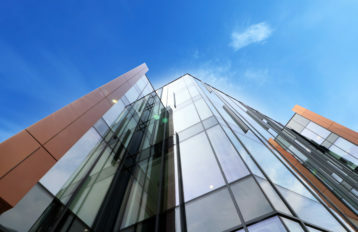 The structurally glazed curtain walling option meets architects’ requirements for significantly less visible aluminium and flush glass façades. The design breaks away from the traditional linear ward, providing 2 efficient clusters of patient rooms, each around a nurse base, resulting in a T-shaped plan where the support rooms are included. 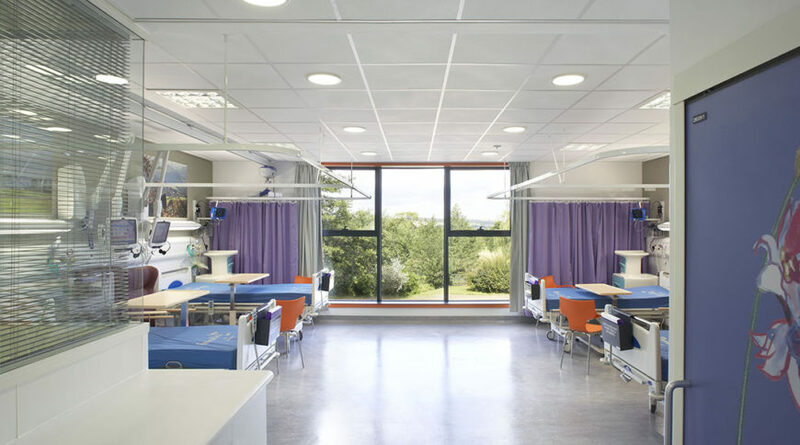 This rationalised plan reduces staff travel times, increases natural light levels and allows the maximum observation of patients by staff through double glazed internal windows. 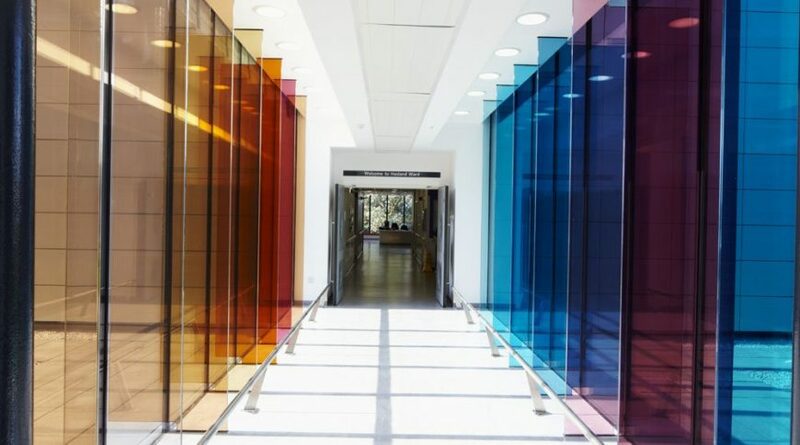 This layout has released more time for staff to care for patients and also added to patient wellbeing as they can see staff in their beds whilst being surrounded by artwork integrated into the fabric of the building.